Apocalyptic Adventures for All Kinds of Kids! I’m a firm believer that in order to become a good writer, you have to be an avid reader. Reading is like breathing to me. I’m the kid who read the toothpaste tube and the cereal box if there wasn’t anything else. Growing up, my idea of a “good time” was a classic novel and the time to read for hours. Now that I’m older, I still have the habit of opening up a book at any spare moment: waiting in the checkout line at the grocery store, while I’m getting my hair done and even (ahem) while visiting the little ladies room! It’s easier than ever to sample all kinds of new authors and new ideas thanks to technology. You have e-readers like Kindle, and all kinds of apps and services that make it easy to read all kinds of things, in any spare minute that you have. I have Rooster, Kindle and Wattpad on my phone for that very reason! And so many books are free that it’s almost like walking around with a library, just by having a phone in your pocket. How did I feel while reading? What techniques did this author use to make me feel that way? How can avoid/incorporate this author’s weaknesses/strengths in my own work? I know some writers don’t like to read much when they are actively working on a story– and I understand that. You don’t want stray ideas from something you are reading to influence your work. But I usually solve that by reading outside my genre. So, when I’m writing dystopian YA, I don’t run out and re-read Insurgent. I read literary fiction. Or romance. Or even paranormal, since my books are more on the “realistic” side of this kind of science fiction than the mystic or fanciful. 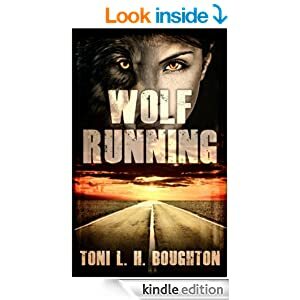 One of the new authors I’ve discovered lately thanks to all of the many ways I can read is Toni Boughton. All of zombie and werewolf peeps need to check her out. Her books Wolf Running, Wolf Hiding and Wolf Hunting are part of a series called “Wolf in the Land of the Dead.” They are awesome– and I don’t usually like books about werewolves or zombies! Next on my list is a book called “James Eyre” which I believe is gay re-telling of Jane Eyre. This author is on notice: Jane Eyre is my “desert island” book: the book I would choose if I could only have one book to read, over and over again for the rest of my life. I love that book. So if this isn’t good I WILL put you on BLAST!!! 🙂 Once again, I’ve chosen a book that isn’t in my genre (no where close, actually). I don’t think I’ve ever read any gay fiction before and I’m actually looking forward to having a new reading experience. Happy reading, readers– and happy reading, writers! Sign up for our newletter to receive advance chapters, covers and freebies!